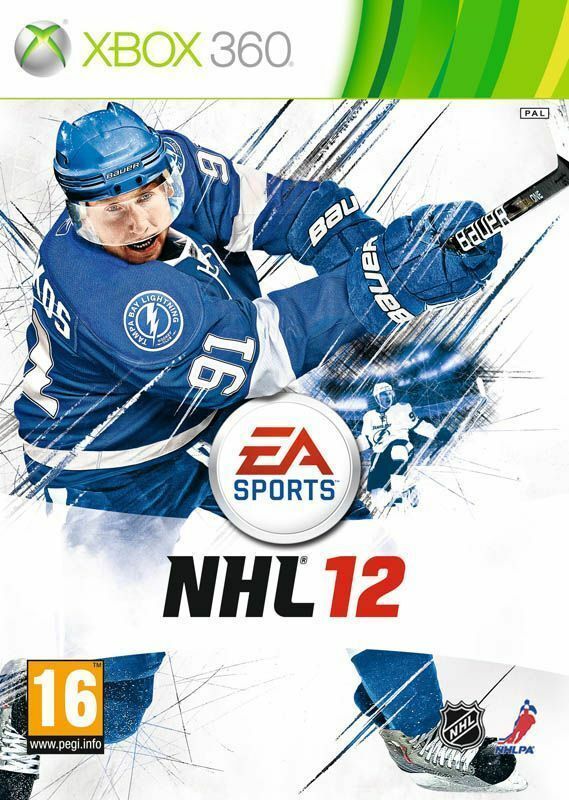 “Why fix something that isn’t broken?” seems to be the line that EA Canada have attached to this year’s NHL release. Don’t get me wrong, there have been numerous improvements throughout the game, not to mention the addition of the game’s newest selling point: “Be a Legend” mode. NHL 12 is a well polished game and plays with very little to complain about, but no review is complete without at least some complaints. In terms of the actual match engine, the game runs quite similar to last year, with a few tweaks here and there to make it play through with more fluidity. 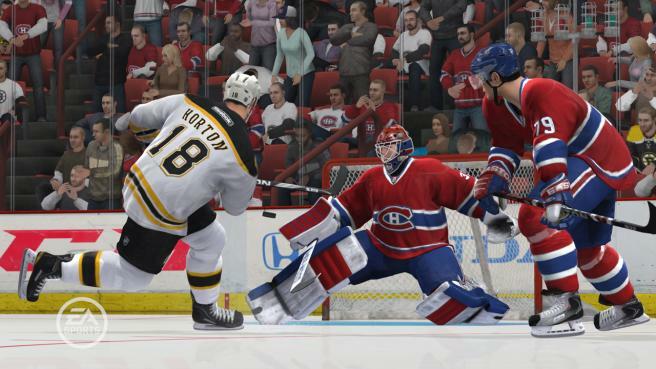 Possibly the biggest improvement to this year’s AI is the use of what EA Canada is calling “anticipation”. 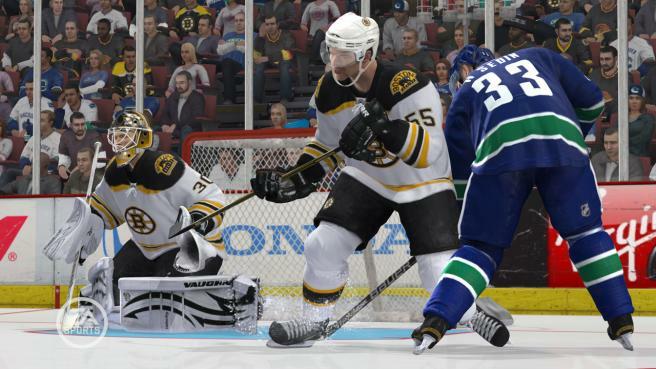 For example, the AI won’t just wait to regain possession before ripping back across the rink. Instead, they will actually anticipate the possession change and you will see one or two players making there way down the ice, and if you’ve over-committed players to your attack then they will make you pay. It’s a great, almost unnoticeable, addition to the gameplay and will force players, especially on the harder difficulties, to play a lot more tactically. Players are also given signature traits, something EA Sports have been doodling around with in various titles from other series. It’s something I’ve always been a fan of, and when executed properly really adds personality to the teams. Whilst I feel like these could still be amplified even more and become even more specific, it’s still a welcomed extra in the game. 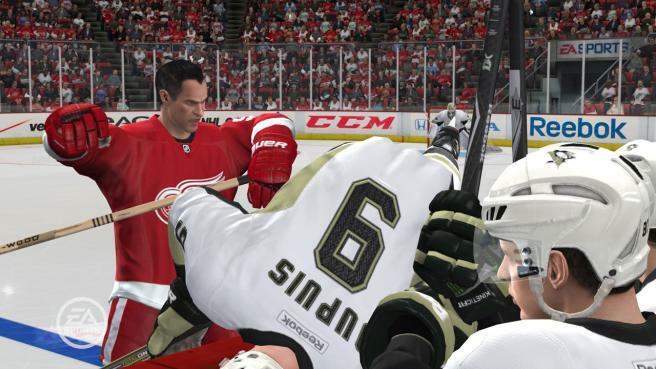 Fighting appears to be as much a part of Ice Hockey as the ice itself but the fighting in NHL 12, as with previous games, is nothing to really boast about. Instigating the fight is fun (Goalies can now fight too), especially as all the other players start to get a bit rowdy as well, but once the gloves are off and you’re going toe to toe, it’s pretty boring. Your options are limited and after a while, getting into a fight just becomes a bit of a nuisance. I suppose for ratings purposes they have to keep the fighting relatively tame, but I would really like to see it refreshed and simply (obviously easier said than done) just more fun. 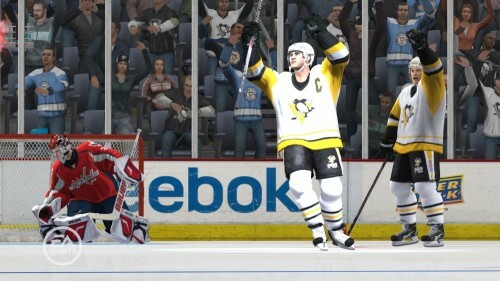 The game modes are basically the same, with a few improvements scattered across season and GM mode. What is new is the Be a Legend and “Winter Classic” modes. The latter is presented quite nicely, but at the end of the day is just “Play Now” with a proverbial ribbon tied around it. Be a Legend mode is something I really like seeing in sport games. It’s something that the NBA 2K series is doing very well and something I think EA Canada have pulled off this year quite decently. There are 9 different legends to choose from, although 8 of these are locked at the start of the game. EA have integrated the Be a Legend with Be a Pro, and therefore you unlock each legend (aside from J.R Roenick who is available from the start) as you progress through your Pro’s career. Once the legend is unlocked, you can put him into any team of your choosing and use him in a similar fashion to the Be a Pro mode. Whilst I quite like the ability to do this, what I think makes NBA 2K more successful with this is the inclusion of the legend’s team as well. I know it’s a lot more work, but it really helps you appreciate the legend. As mentioned earlier, the game is really polished, both mechanically and visually. The graphics are slightly better than last year, but the small (yet brutal) extras really help the presentation of the game. Playoff beards are something that’s been included, a very trivial addition but still will please a lot of NHL fans. What I quite enjoy is the ability to knock a player’s helmet off his head after a big collision, send him bundling into the crowd, or shatter the boards. Apparently EA have integrated a new “Balance Control System”, making the bumps more realistic and sending your player bundling down with the collide-e some of the time. Although there are a few little collision bugs, the majority of the time they look painstakingly brilliant. The soundtrack is quite solid this year, featuring some Judas Priest, Anthrax and various others. As always I suppose it comes down to personal preference of music but the tracks are on the whole quite fitting the feel of the game. The commentary is decent for the most part, with returning NHL pundits Gary Thorne and Bill Clement providing their opinons. It does get a bit repetitive after a while, but then again so does the commentary in most sport games. That being said I would like to hear a bit more real life statistics and biographical information about the players, especially the legends, but I suppose given the pace of Ice Hockey there isn’t too much time to chat. Overall it’s quite a reasonable improvement over last year, increasingly becoming a more polished and well-rounded game. 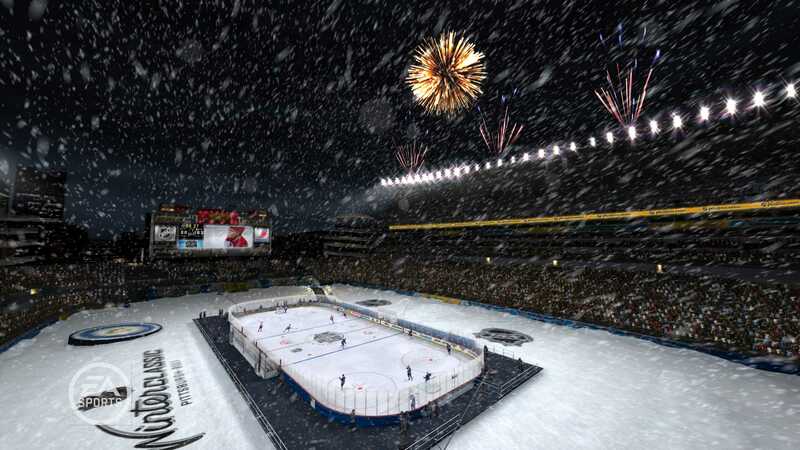 There are still a few areas which need improving, but there is enough improvement and new inclusions for NHL fans to buy it, especially due to the lasting appeal boost provided by the Be a Legend mode.